CannaWisdom for All: MONDAY NIGHT BOCANNACO CALL, GET GUESTS ON!!! Sneak peek at Back Office!! David is working HARD and NON-STOP! Pic from Tuesday at Doc Lawrence office in Torrance, Ca. Lady is Jenny and was referred to Doc year or so ago. Doc's wife Macy ( a Nurse) told us about Jenny being referred to Doc with Stage 4 Breast Cancer. Showed us pics of the lesions. Yesterday we met this precious lady. We now have pics AND cancer cell count from her chart that she generously allowed us to share. We also learned that anyone high on marijuana can be SOBER in just few minutes with this product because the cannabis sativa offsets THC. Also, anyone who is addicted to OxyContin or Opioids can be completely addiction-free after 30 days by taking this product. Thanks to Francine Smith (Mrs. Prince Smith) for the great shot above of the founding group that flew down to meet Dr. L and Macy face-to-face and try the products and hear all the reasons why Bocannaco is revolutionary. 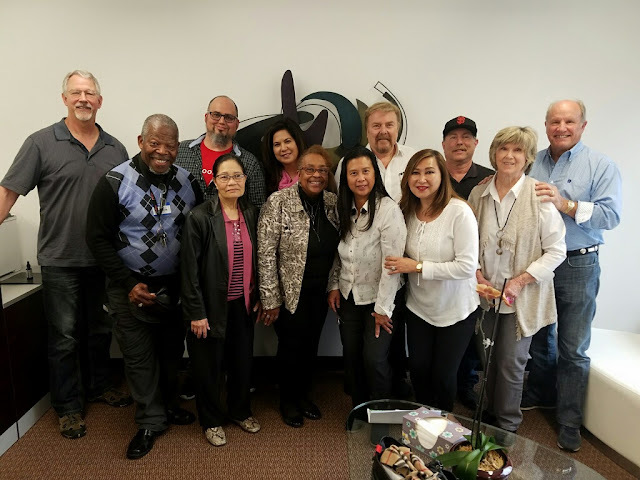 From L-R: John Lambeth, Prince Smith, Karam Levi, Marlyn Ano, Marlene Zamora, Francine Smith, Cora Mandapat, Dr. Lawrence, Macy Lawrence, Randy Orloff, Barb and Mike. The Founders Pool is making a HUGE splash! $2,000 per share, no more than 5 shares available to any one distributor. Each share gets 10 initial bottles of Bocannaco oil plus Cannajize! 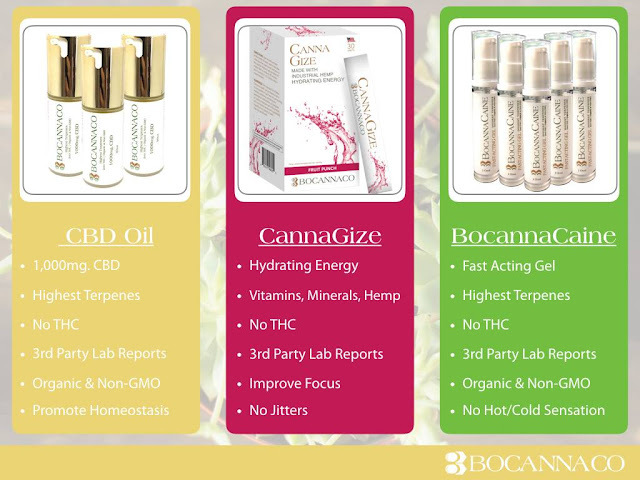 $2 from each and every Bocannaco product sold goes into Pool to be distributed to Founders by share each quarter for the life of the company. Pool will close at 300 shares or July 1, 2018 -- whichever comes first. If you would like to have a share in the Bocannaco Founders Pool, let Mike know and as soon as sign-up form is available we will get it to you. Very Special Guest Marlene Zamora will be sharing experiences from her life of how Dr. L's oil gave people she loved a fighting chance at getting their lives back! 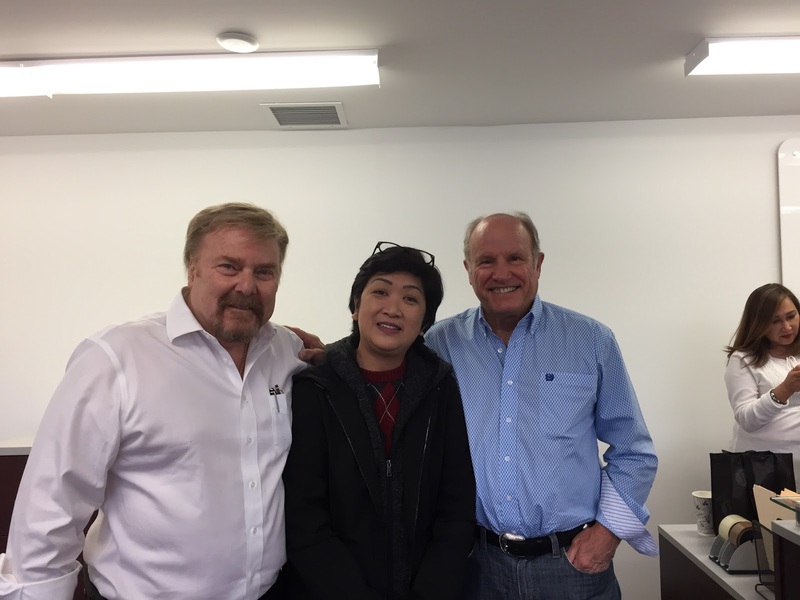 Marlene is an amazing sharer, software professional and has NEVER DONE network marketing. You'll love her! *He's the same lawyer who is going over all the Bocannaco docs, comp plan, etc., so we are awaiting his pleasure and will get into high gear when all is set! In the meantime, be herding your ducks into a row: the Bocannaco Oil by itself is an uncompromising product that has no competition in the CBD or hemp market -- believe me. I've tried a bunch of them for my Parkinson's and Doc's oil is helping my brain get better each day.. in little things that are huge to me. All I ask is a fighting chance: and Bocannaco is giving me that.